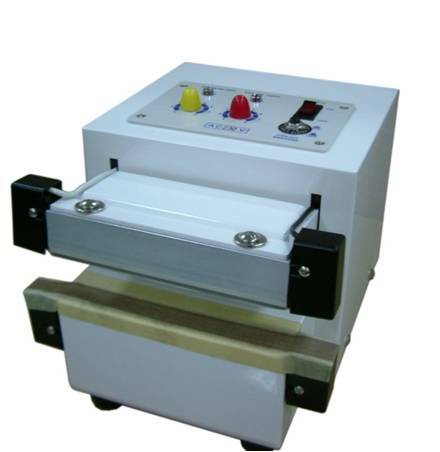 WN-1510HT is a unique hand press automatic double impulse sealer geared for sealing thicker materials such as foil gusseted bags (i.e. coffee bags). 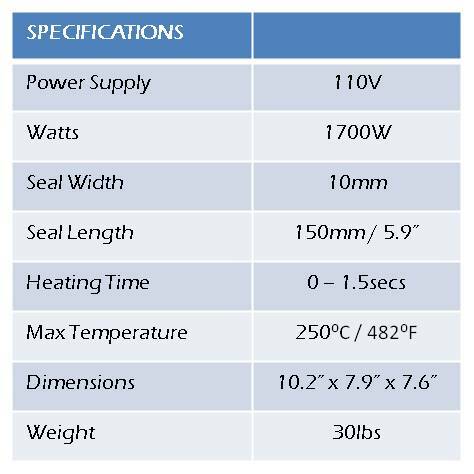 The WN-1510HT can seal materials up to 6” wide and 20mil total thickness producing a 10mm wide seal. Equipped with a built-in automatic release once the seal cycle is complete, this sealer will ensure a consistent seal every time.